Check this out – remember the NFC Championship last year pitting the Chicago Bears again the Green Bay Packers playing in Soldiers Field? I know, I know… we all know how it turned out. But just in case you were a Bear’s fan and you still harbor some bitterness from the outcome, you may be getting your chance at some redemption on August 9th. 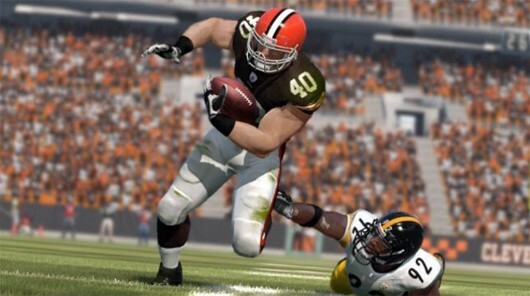 EA Sports announced today that Madden NFL 12 will be coming August 9th with a demo arriving on Xbox Live and PSN. The Madden NFL 12 demo will give you a 20-minute, four-quarter recreation of the Packers vs the Bears. Where you belong james harrison.